Today Waldeyr Silva accepted to release a quick interview about his project and why he has chosen OrientDB. Luca: Hi Waldeyr, could you tell us a little about your project? 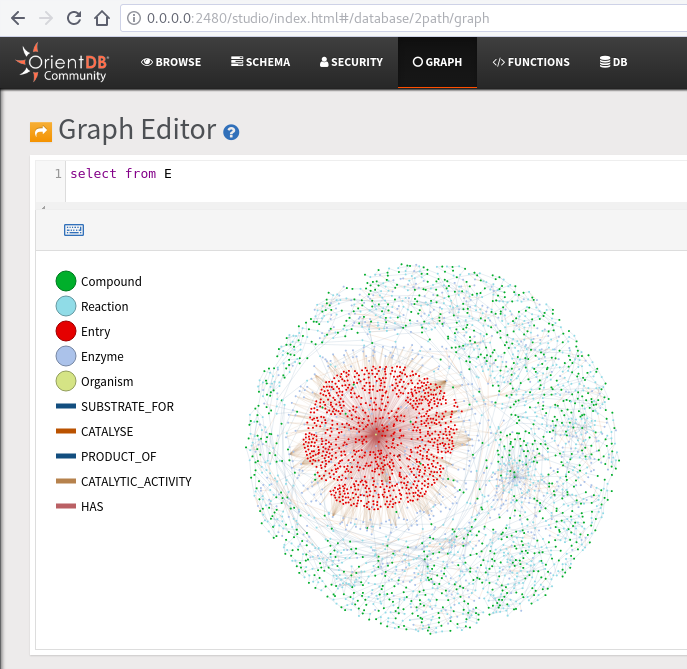 Waldeyr: The 2path core is a terpenoid metabolic network modeled using a graph database (in this version: OrientDB). 2path also provides a Python program to reconstruct the terpenoid network of a plant organism of interest from genomic data. You can either use the database and explore the terpenoid metabolic network or reconstruct the terpenoid metabolic network of a target organism from protein or nucleotide sequences. Luca: Did you evaluate other DBMS for this project? Waldeyr: Yes, the first version of 2path was published using Neo4J. In all cases the performance and compatibility with the modeling of the graph we popped up were adequate. However, OrientDB has brought together two essential, mutually exclusive features in the other databases: favorable license and easy portability. The OrientDB license is fully compatible with the free distribution of knowledge. Also, the database can be distributed embedded in some application. Luca: Why did you choose OrientDB? Waldeyr: Primarily by license and portability, but also, it is very intuitive to implement the data model with object-oriented features as abstract classes. Luca: What API are you using with OrientDB? 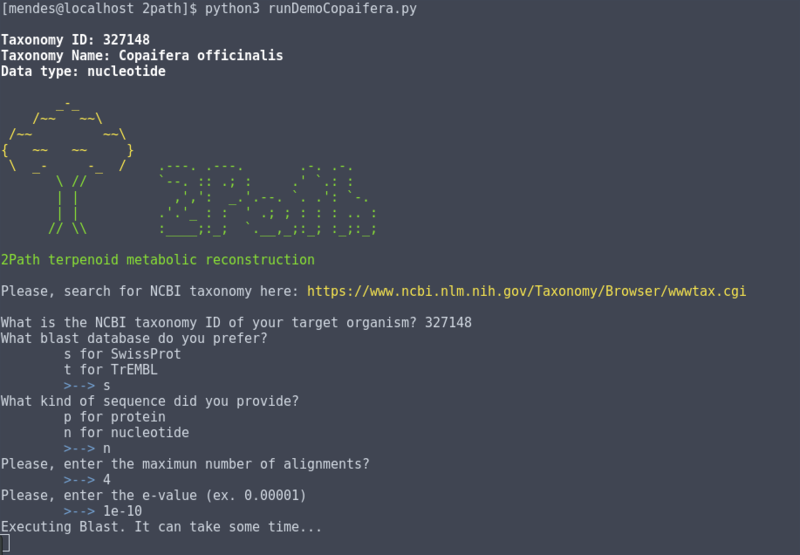 Waldeyr: The software for the reconstruction of metabolic networks was written in Python. And I used the pyorient library. The software is still under construction, with new features being released soon, but you can do the basics: rebuilding a metabolic network from cDNA or protein sequences. Luca: In your opinion, which are the best 3 OrientDB features? Thanks Waldeyr to have shared your experience with the OrientDB Community. If you want to know more about 2Path look at https://bitbucket.org/wmcs/2path/wiki/Home. If you’re reading this post and you also would like to share your experience with OrientDB, please drop an email to info -at- orientdb.com. This week we interviewed Odysseas Pentakalos. Odysseas: “There are certainly more than 3 great features in OrientDB but here are the top 3. Performance: if OrientDB was not able to meet the performance requirements of our application the other features wouldn’t matter much so I have to put performance at the top. We have been impressed by the performance of the database in being able to support the key transactions that our software needs to process. We also plan to exploit the clustering capabilities soon which will allows us to achieve higher overall performance. Flexible Schema: The flexibility of being able to choose whether to use a schema or not is very important. We are exploiting OrientDBs ability to define classes to capture some of the common attributes of our data model while allowing the users to dynamically extend the schema over time. Transaction support: Some NoSQL databases provide unlimited scalability of the system but trade-off support for ACID transactions. Our application must support ACID semantics so we are willing to trade-off some performance in exchange for always having consistent data.